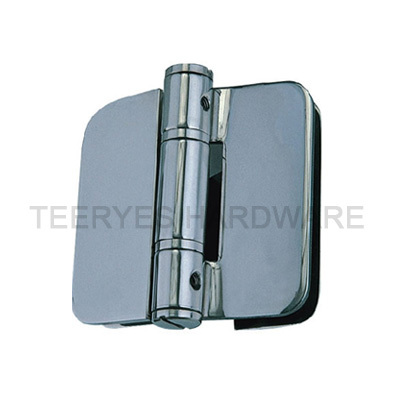 Shower Hinge is also called Glass door hinge, Shower door hinge, etc, The style and sizes are fixed, and the raw materials can be Solid Stainless steel 304 and Brass as it is used in wet environment. They are usually half self closing, and get the stay-position function. The surface finishes are Polished Chrome, Satin Chrome, Satin Nickel, Satin Stainless steel, Polished Stainless steel.